Most of my work involves making posters and flyers, usually on a computer. Most of these designs are printed as a poster, and as a flyer, and almost always these designs are also used as ‘e-flyers’ or memes or web-flyers – circulated in emails, on blogs, twitter, faece-book and websites. A 2017 poster I made with a good friend that summarises some of the work of a local “Turning Point” group, who are helping each other move away from addiction. 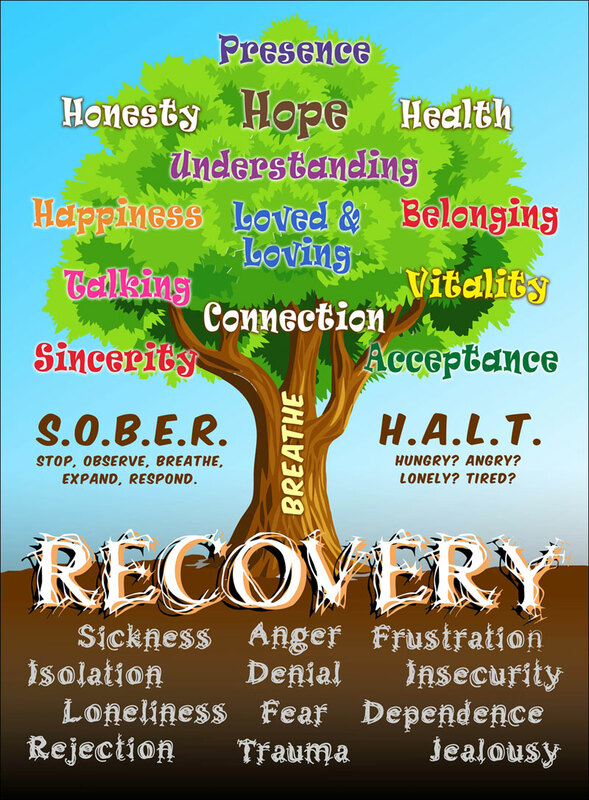 Most of us have (or know someone who has) struggled with addiction – alcohol, drugs, or other substances or behaviours. The Oxford branch is based off the Cowley Road in East Oxford and most services are free and confidential. Turning Point does some excellent, life-saving work helping folks find their footing. 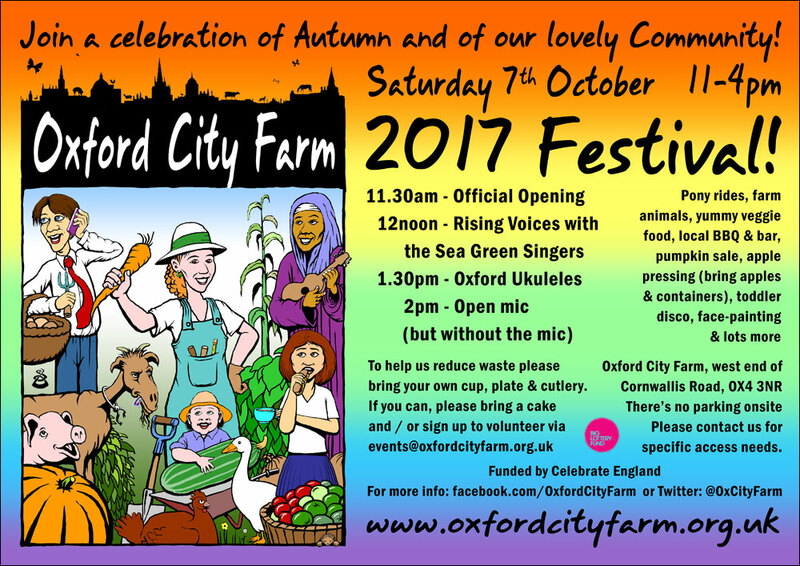 Another festival poster, this time for the 2017 launch party of the amazing Oxford City Farm. I made the illustration a few years ago, as a fund-raising poscard for the Oxford City Farm. 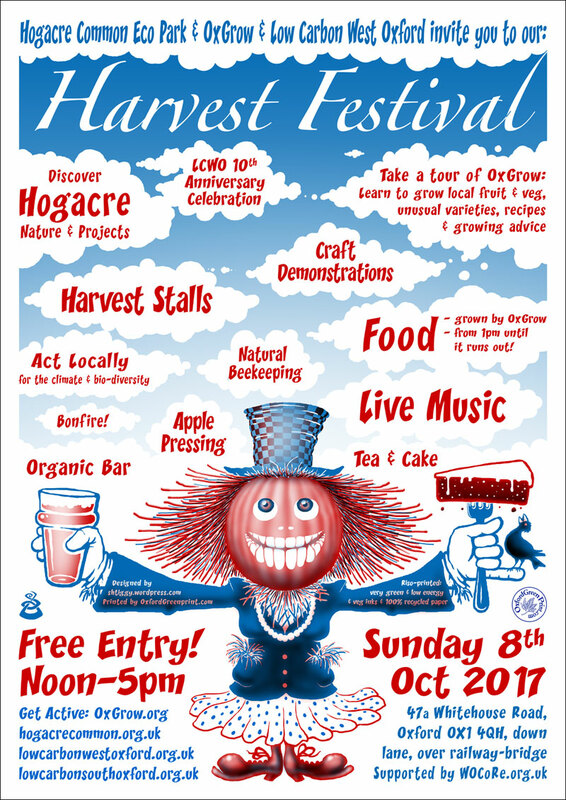 A poster for the 2017 Harvest Festival at the wonderful Hogacre Common Eco-park in South Oxford. I designed this poster to be printed on the risograph printing press at Oxford GreenPrint using red and blue ink. I came out great! 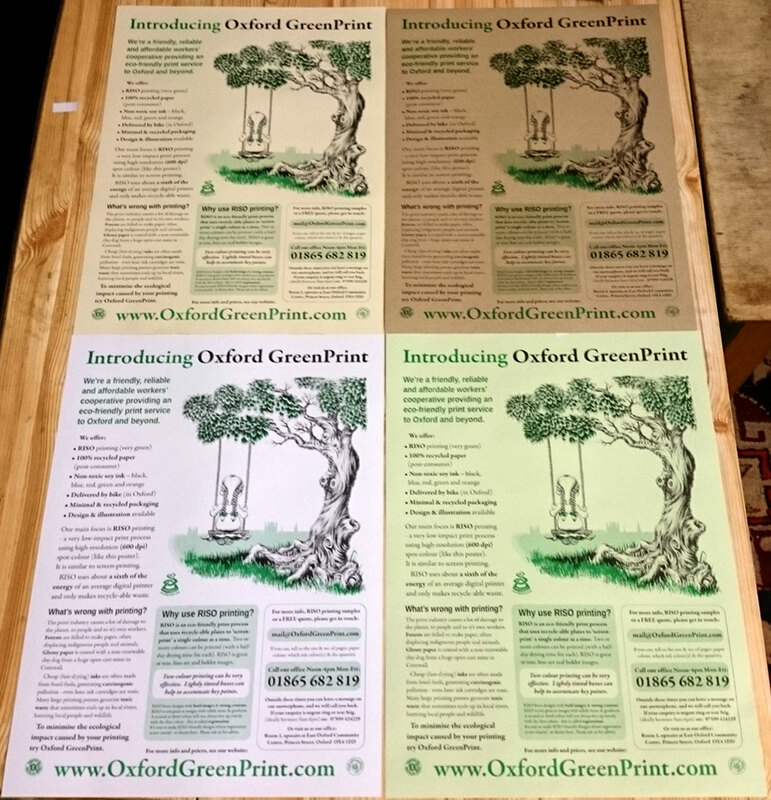 A 2016 poster promoting Oxford GreenPrint, that also introduces the Risograph printing press. It is 2-colour printing (green and black) onto cream, brown, white and light green paper. The illustration was adapted from a biro drawing I made over two decades ago – a gift for my grandmother. 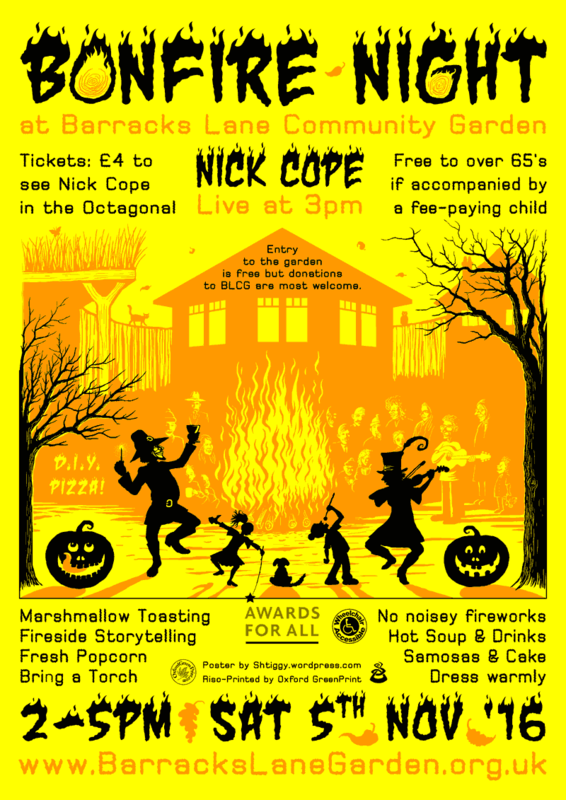 Poster and flyer for the 2016 Bonfire celebrations at my local Barracks Lane Community Garden in East Oxford. Apparently the event was a great success, and the star performer, Nick Cope, has agreed to return for a second performance soon. This poster was designed to be printed on the super-eco RISO printing press at Oxford GreenPrint. The first pass was the Orange ink followed a second pass of Black ink on a yellow paper, 100% post-consumer recycled paper. I’ve fallen in love with the RISO printing press. It’s a great example of ‘appropriate technology‘ – it uses a sixth of the energy of a modern digital printing press and is best suited to print designs with strong contrast, like text and bold graphics. 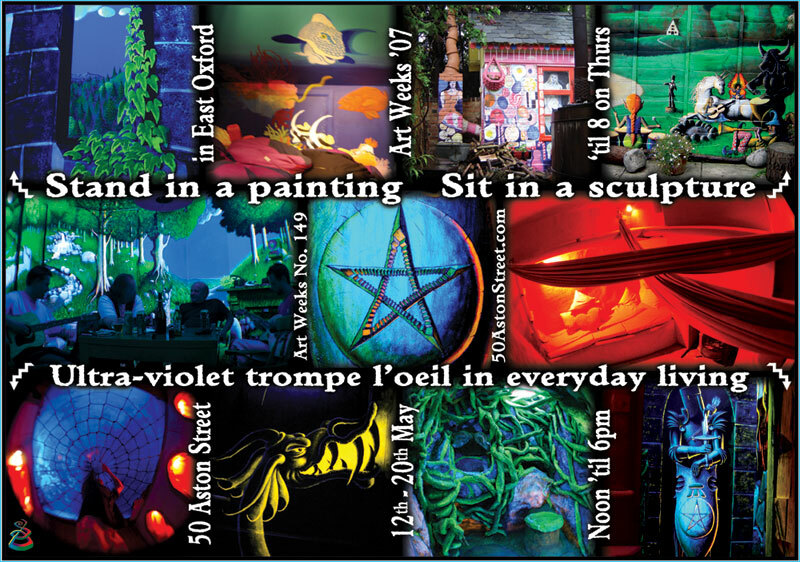 Oxford GreenPrint specialise in the RISO – get in touch with them to learn more. 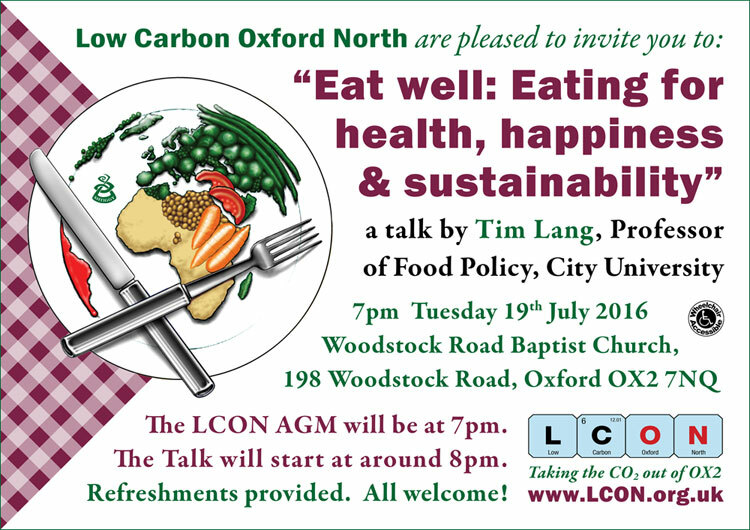 Poster and flyer for the 2016 AGM of one of Oxford’s most active low-carbon community groups, Low Carbon Oxford North. 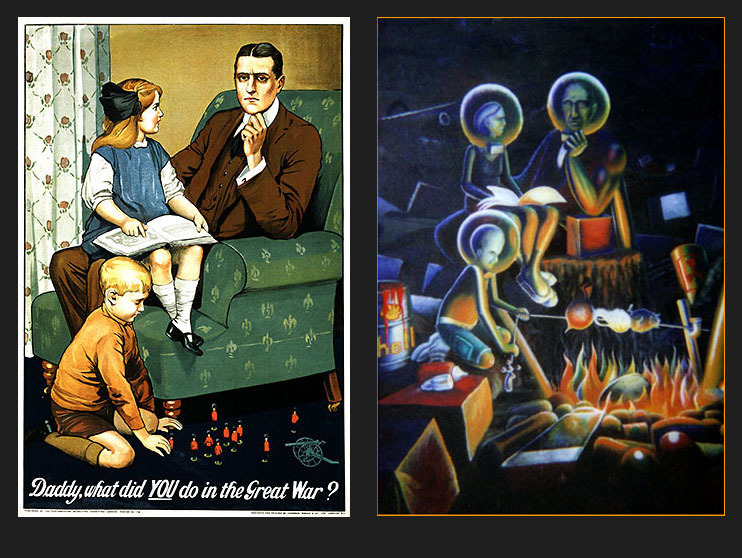 The ‘world plate’ illustration is a vegetarian re-working of an image I made decades ago. The original was quite meaty! Reducing our consumption of meat (and dairy) is a major way to reduce our carbon emissions, and also improve our health. It’s quite good for the animals too! 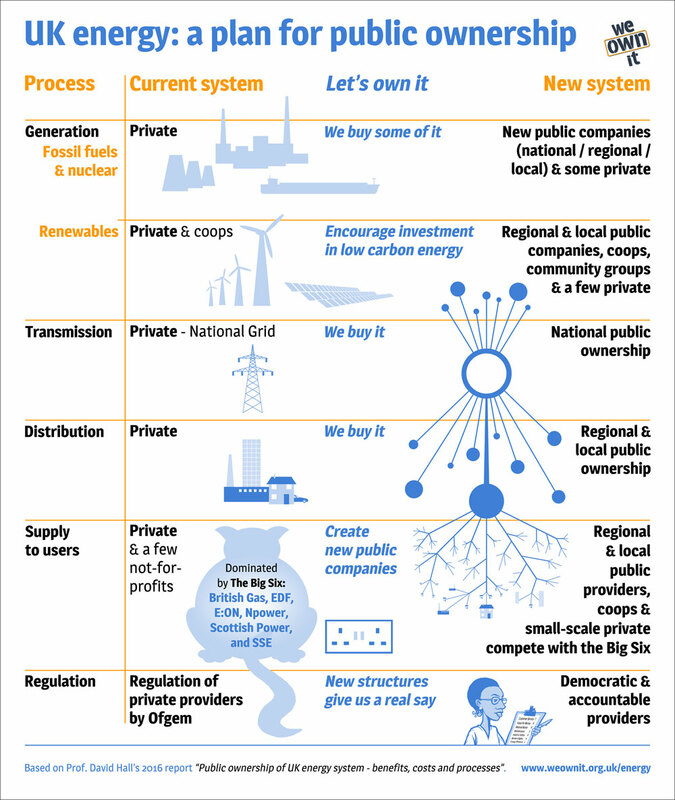 A summary of a very important idea – getting the UK energy sector back into public ownership, where national and local government (and people) have control. See more on the Energy page of their website. It was fun to work with We OWn It – they do great research and campaigning on a wide range of important issues. Happy New Year! Here is a spoof poster from 2015. As the world’s most powerful “leader” Barack Obama has achieved very little to help society face the greatest threat to life on earth – climate chaos. He sometimes speaks well about climate change but very little policy or legislation has happened on his watch. While this piece is called “hopeless”, I do still have some hope – depending on just how fast as many of us can work, we might be able to make climate chaos more survivable for more people. But we must avoid clinging to false hope. 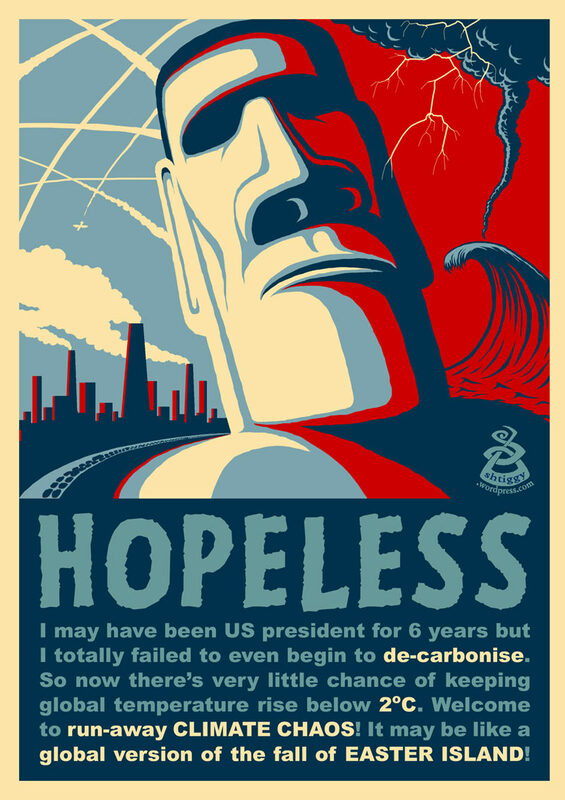 We need to learn from our mistakes (like how the people of Easter Island were colonised and forced into over-consuming their way to collapse) and we need to rapidly de-colonise and de-carbonise our homes, our work, our infrastructure and our societies. We can do this: stop flying; eat local vegetables and less meat; switch to renewable energy; insulate our buildings; and generally de-normalise over-consumption. 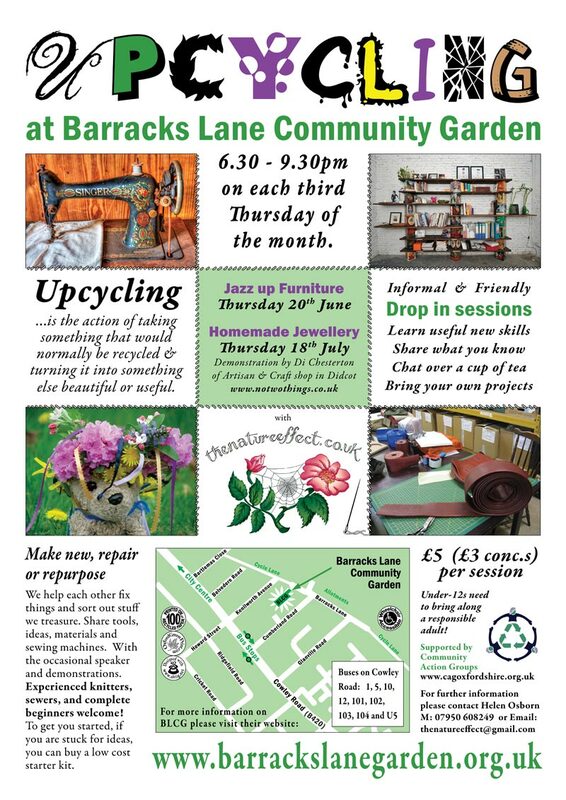 A 2013 poster for the Oxford Upcycling group that used to meet monthly at Barracks Lane Community Garden on the third Thursday of each month. This poster demonstrates many of my favoured poster-design features: Large clear title, several enticed images, prominent website for more info and a series of small paragraphs of important text. I call this an “info-poster” as it is far more informative than most commercial posters or bill-boards. 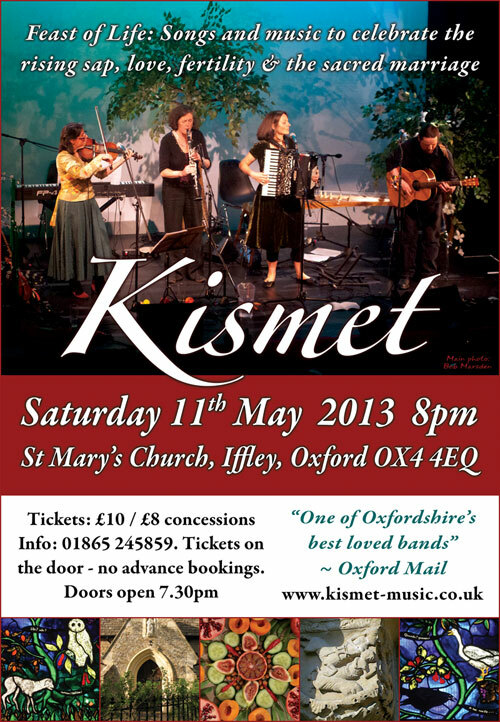 Poster for a much-loved local folk band, Kismet. 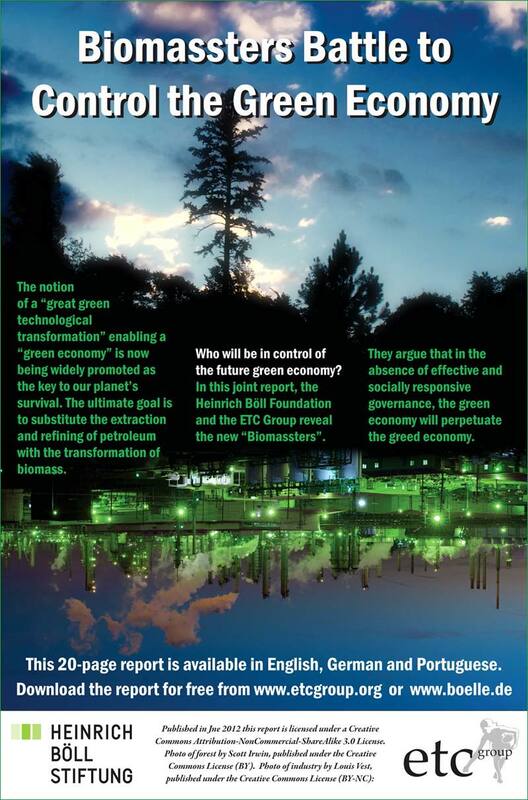 The poster / flyer to promote the 2012 report by the ETC Group on the corporate dominance of the new ‘green economy’. Download the 18-page PDF. Poster designed as a ‘art’ piece for the excellent “Museum from the Future” show in Oxford’s Old Fire Station in August 2012. The show featured artefacts and artwork from 30 years into the future, from a somewhat utopian future that had somehow survived climate chaos. This poster was also published in the 2012 booklet “How to set up a Workers Coop” as detailed on the PUBLICATIONS page. A huge poster researched by the ETC Group in 2012 that summaries the acts of intentional geoengineering across the world over the last 50 years. 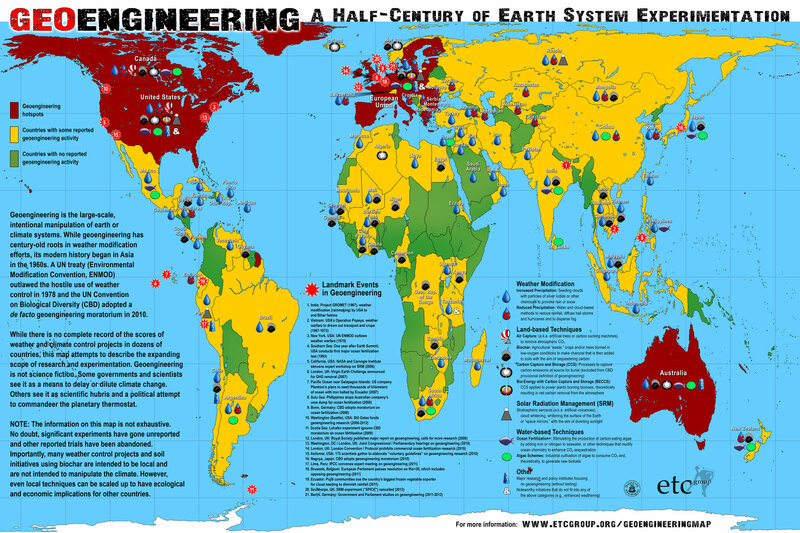 Click on the image to see a much larger version, or visit the ETC website to learn more about geoengineering. 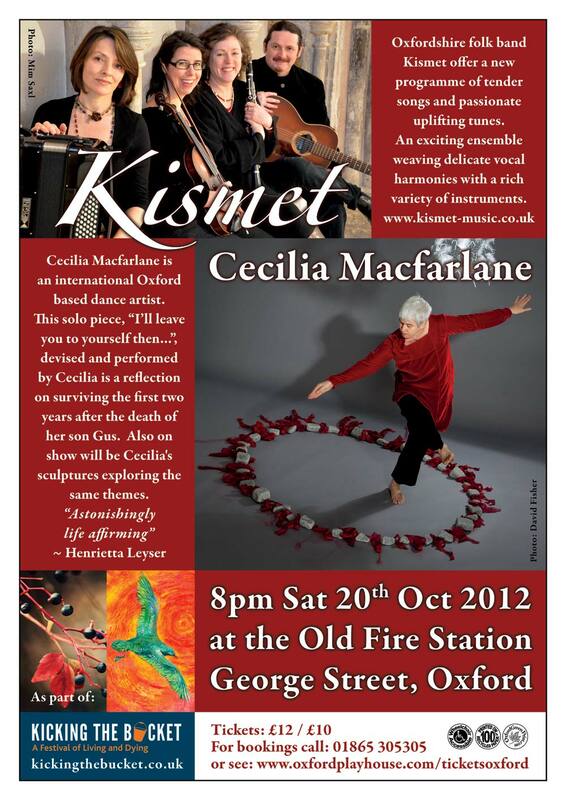 Poster from 2012 for a special evening of music and dance for Kismet and Cecilia Macfarlane. 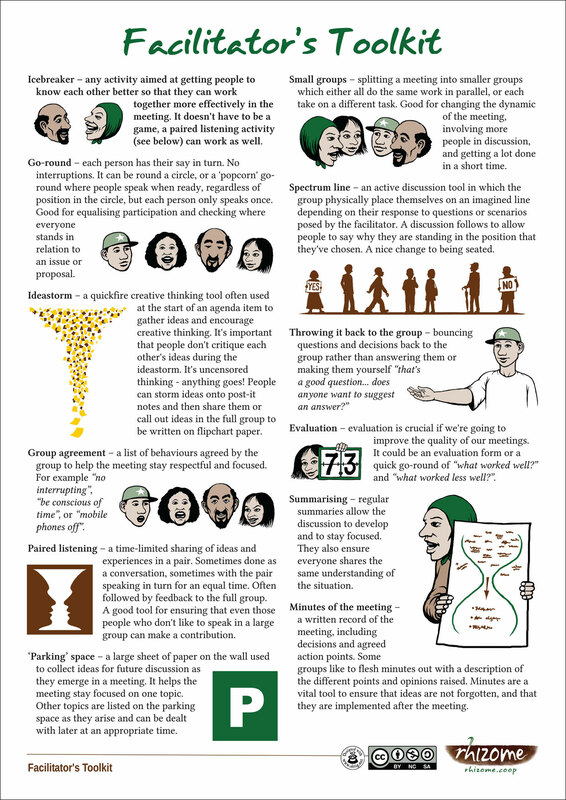 An informative 2011 poster for the Rhizome Cooperative, summarising some of the key tools that facilitators can use to make meetings more effective and fun. The Rhizome coop has produced a number of excellent briefings, posters, booklets and hand-outs (some of which were designed by me) and I strongly recommend them if you are interested in improving your social skills. These resources cover consensus decision-making, mediation, using open-space, conflict resolution, active listening, working in groups and facilitation. They also run amazing workshops. 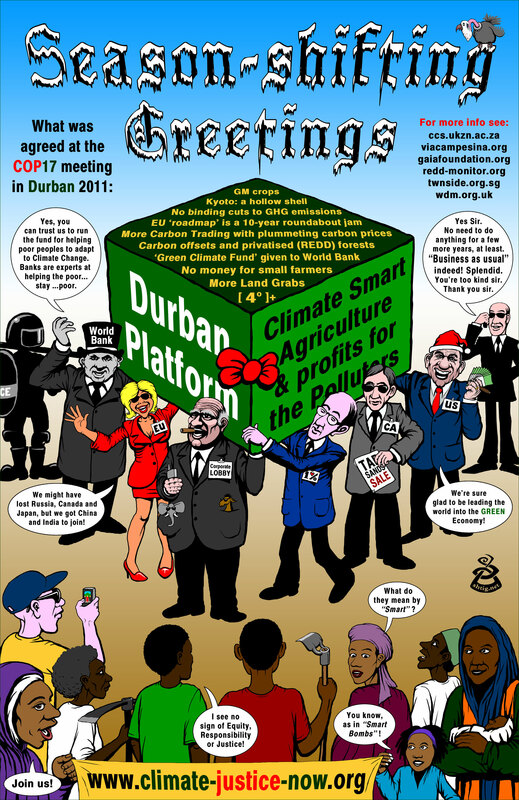 A “Christmas-card” poster to summarise the very disappointing results from the UN conference on Climate Change, COP17 (conference of Parties) that was held in Durban, South Africa in December 2011. 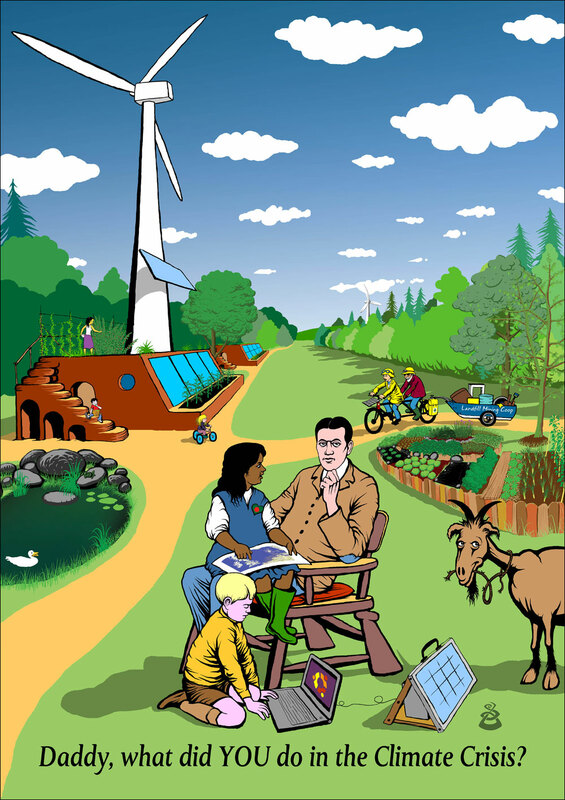 This cartoon is based on a similar poster I drew for the Gaia Foundation that focused on ‘smart agriculture’. 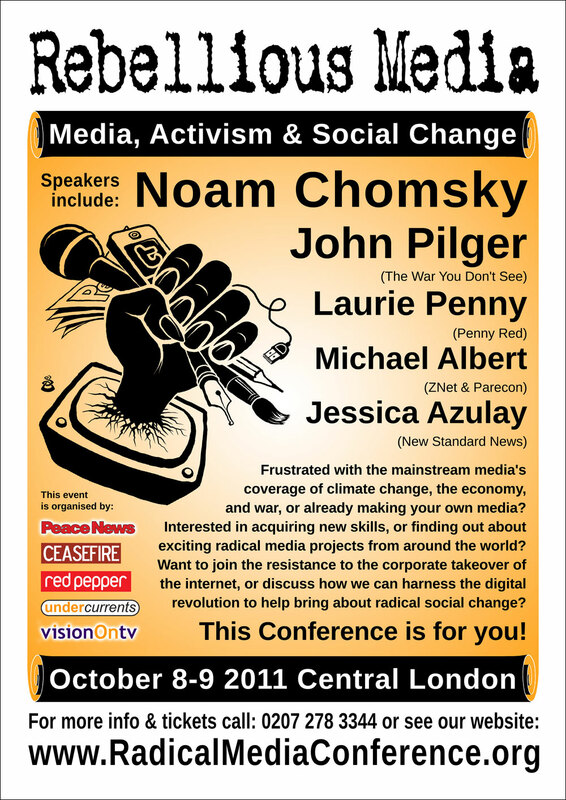 Poster / flyer for the fabulous “Radical Media Conference” that was held in London in October 2011. Hundreds of people came from far and wide to participate, attend workshops and listen to panel-discussions, and learn from each other. The website for the event has lots more transcripts, MP3s, films and more. To help pay for the event, the organisers created a DVD of the highlights of the 2-day conference. One of my favourite designs, this 2011 poster for the ETC Group has it all – jokes, vital information and quite powerful illustrations, in my humble opinion (imho). 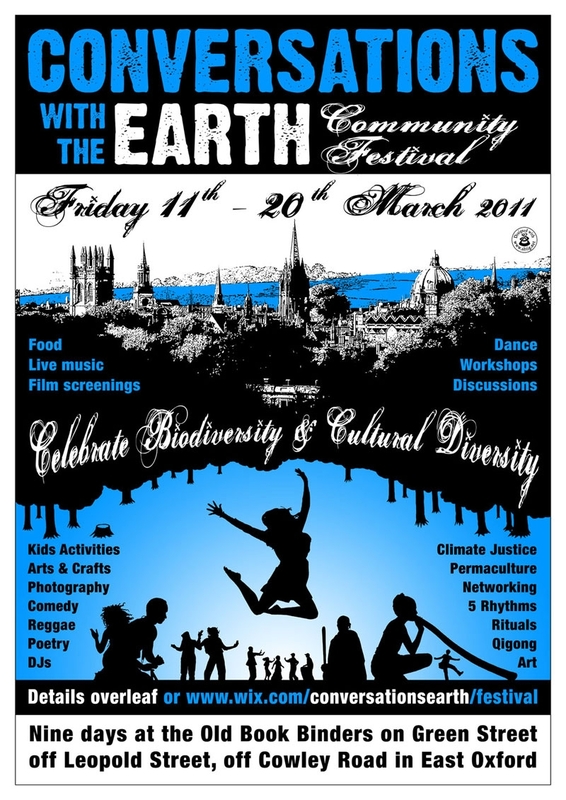 Poster from 2011 for the Conversations with the Earth festival organised by Insighshare. 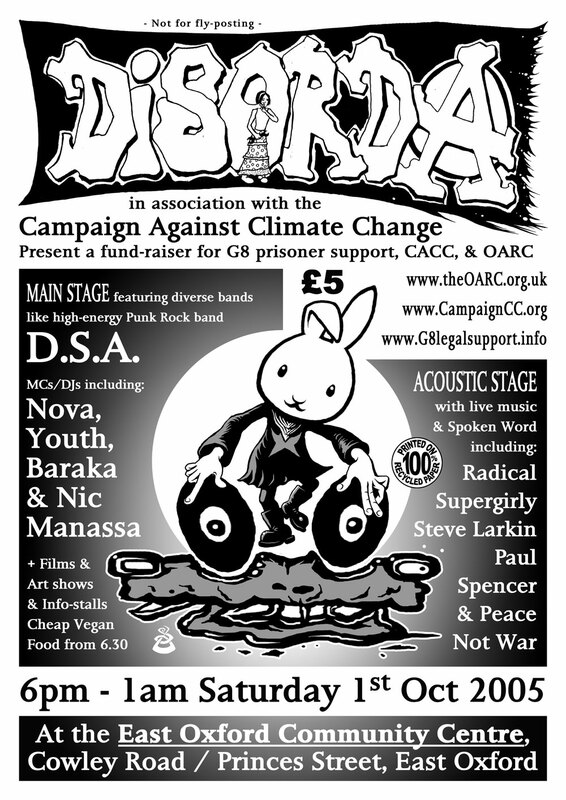 The A3 poster had a festival programme on the reverse, and folded to a n-fold leaflet. 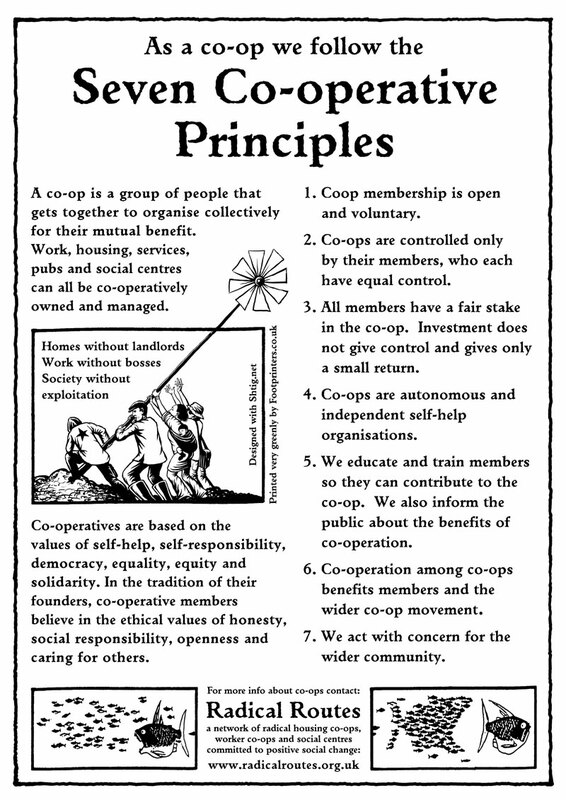 A simple B&W poster for the Radical Routes network detailing the seven principles of cooperatives from around 2010. 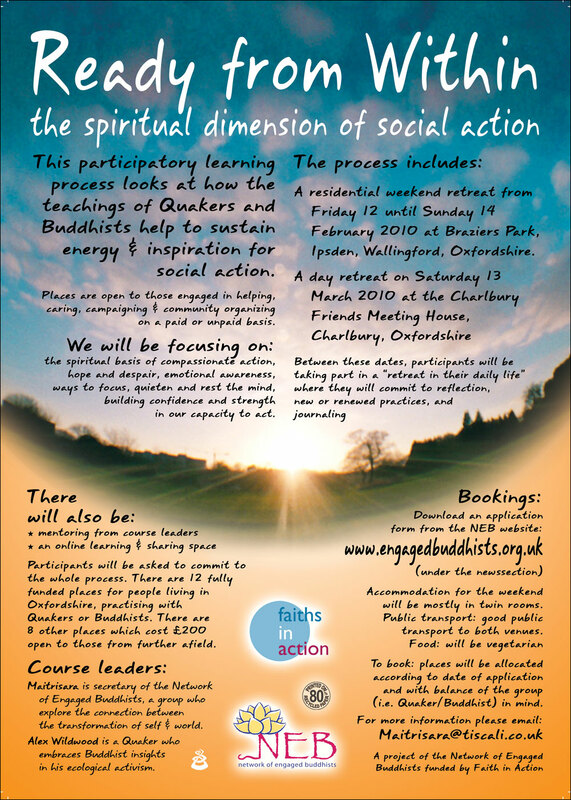 A pretty poster for a special event from 2010 for some friends who were bringing Quaker activists and Budhist activists together. 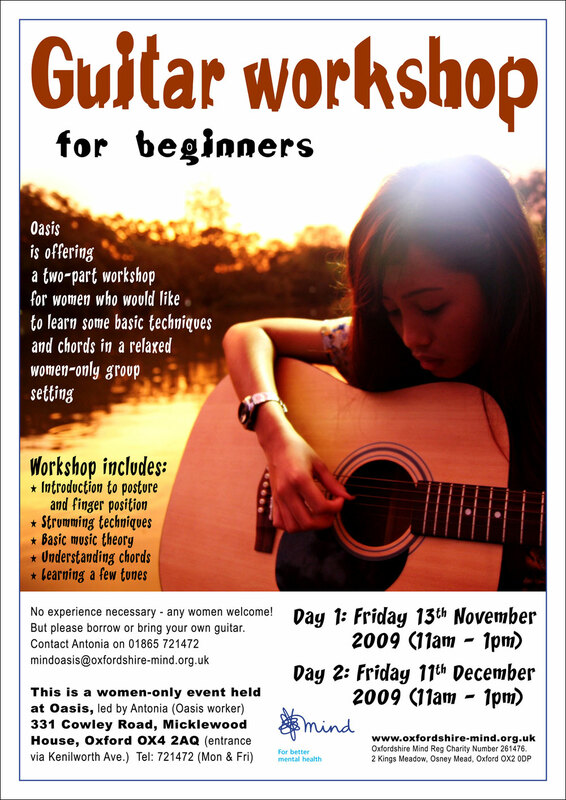 A simple poster from 2009 for guitar taster sessions at the fabulous OASIS drop-in centre for Women in Oxford. OASIS sadly does not happen any more due to ‘restructuring’. But mny other support services are run by Oxfordshire Mind. This poster is a good example of how one great photo can make a great poster, imho. 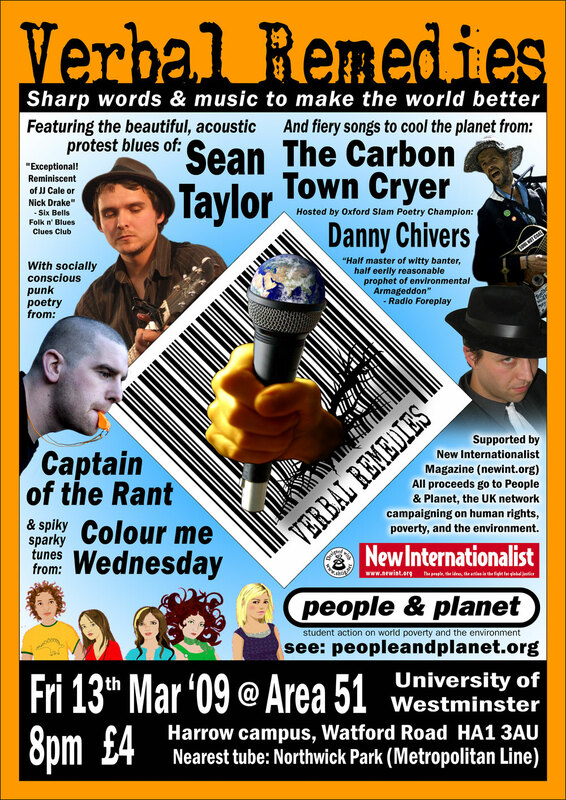 Poster for an awareness (and fund) raising UK tour by Danny Chivers and friends, in cahoots with People & Planet and the New Internationalist. 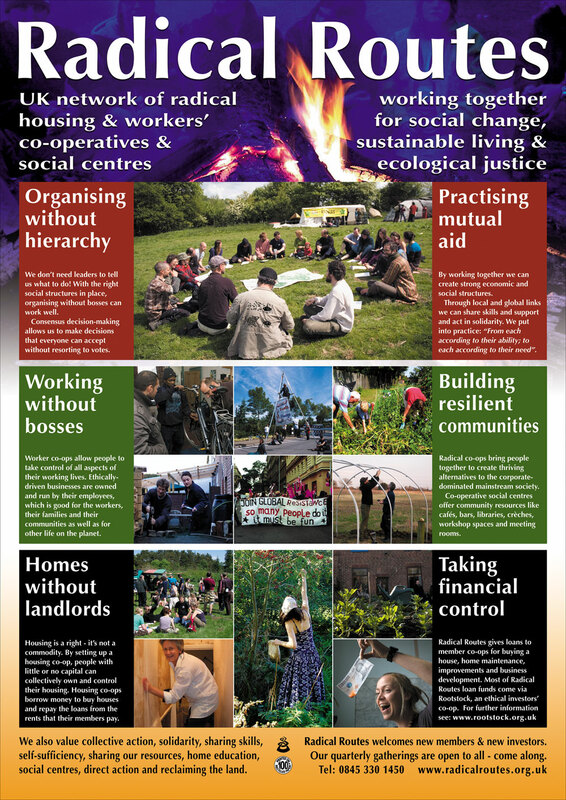 Poster I made in 2009 for Radical Routes – the UK network of radical housing and workers co-operatives that also now includes a number of social centres. This poster conveys the basic principles that the RR network is based on. It’s a remarkable organisation, that essentially acts as a loan-provider for activists in the UK. Visit their website for more information. Through it’s sister group Root Stock, people with ‘spare’ savings who which to invest ethically can lend to the network. These funds are then used to provide funds to establish new housing coops, and new workers’ coops. New investors, and new members are welcome to get involved. 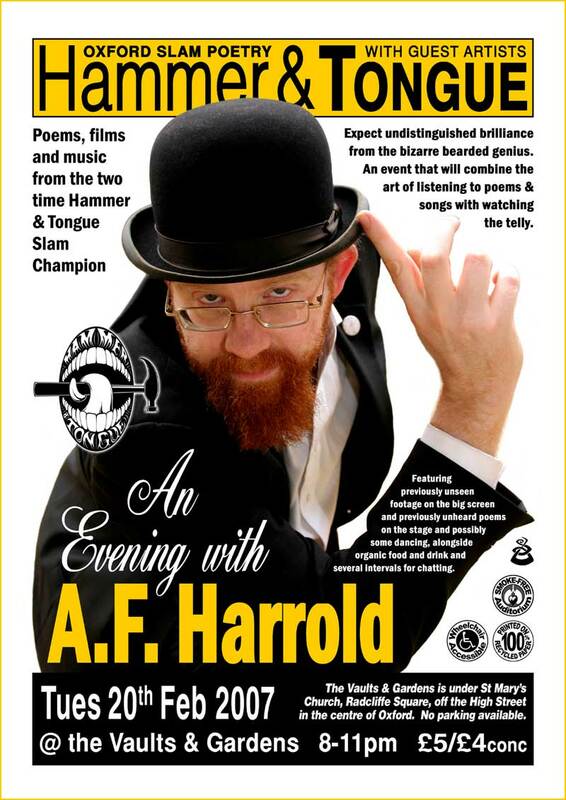 Poster from 2007 for the remarkable, and very original poet-performer A.F. Harrold from Bristol, UK. 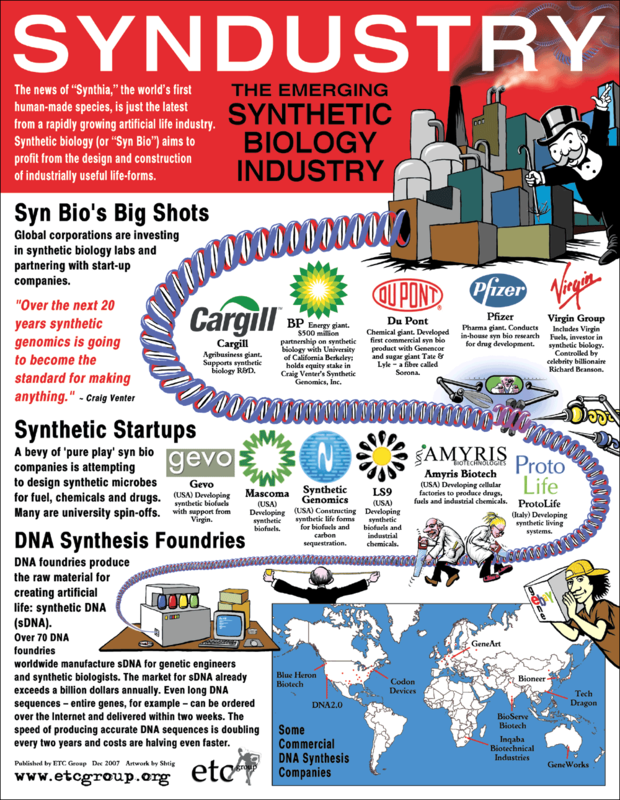 SYNDUSTRY – the emerging Synthetic Biology industry. 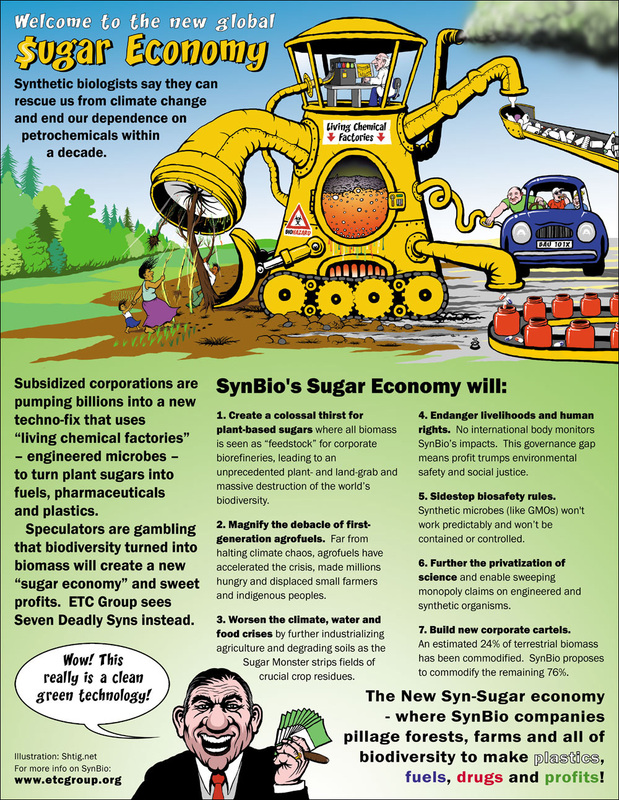 This 2007 poster for the ETC Group exposes the new way that some large (and many small) corporations are ‘creating new lifeforms’. While innovation can lead to useful solutions, unregulated and unaccountable experimentation can lead to disasters. 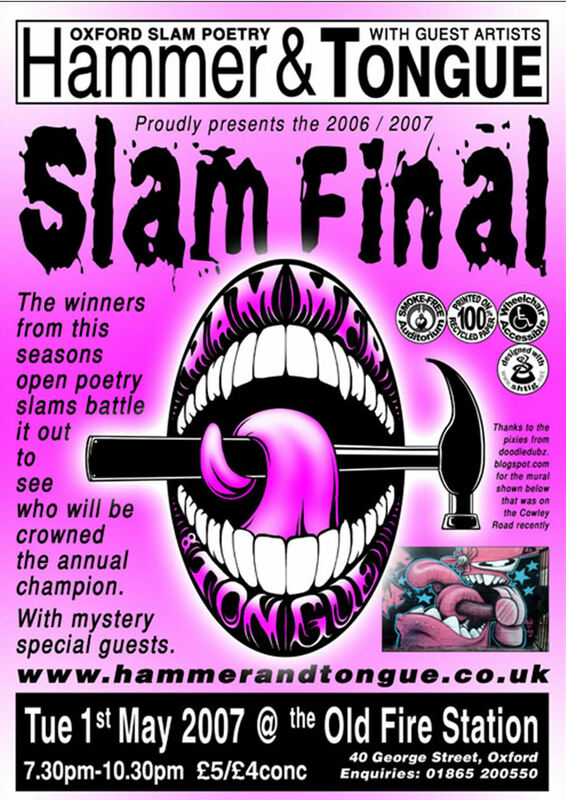 Poster from 2007 for Oxford’s Slam poetry phenomenon that is “Hammer and Tongue“. 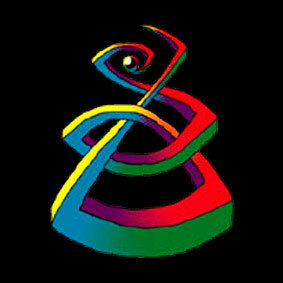 I was their designer for many years and help create the cute little logo. If you have not yet witnessed “slam poetry”, please check out Taylor Mali, a former teacher and a great example of the best in slam poetry. My favourite poems by Talyor Mali are Whatever and The the impotence of proof-reading. If you are a teacher, or are close to one, please also see What do teachers make. Poster and flyer for the week-long “Artweeks” show at 50 Aston Street, the remarkable house I once lived in. See the MURALS page for more photos and notes on this amazing home. Poster for a fund-raising benefit evening at our local community centre, raising money for activists who had been victimised by the pro-corporate judicial system following the G8 summit in Scotland in 2005. 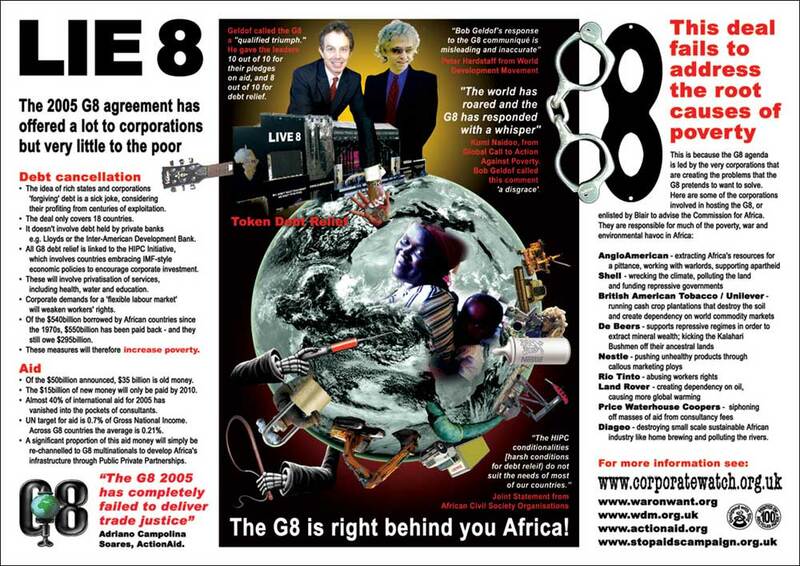 LIE 8 – a spoof poster from 2005 for Corporate Watch, critiquing the very disappointing “Live 8” events that was co-opted by the 2005 G8 gathering in Scotland. As a teenager I was inspired by the defiant words of people like Bob Geldof. But at Live 8 he was hypnotised by the slippery words of the politicians. 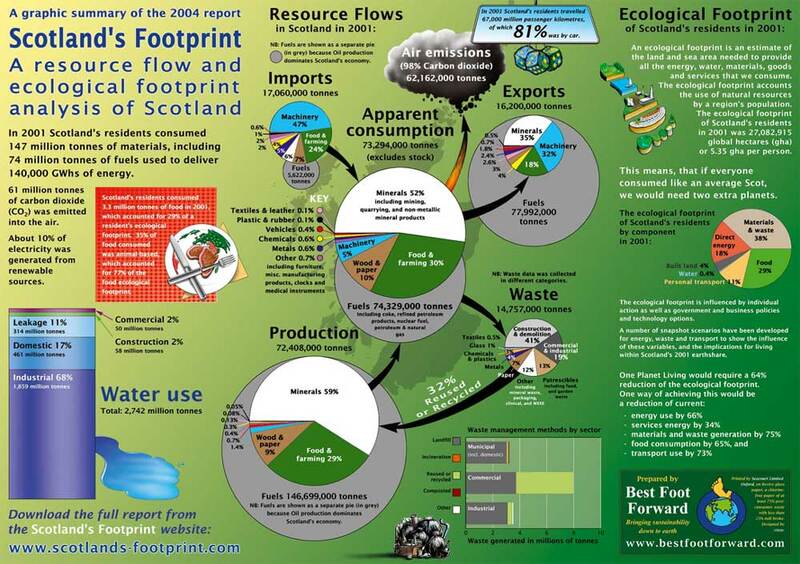 Scotland’s footprint – a “Graphic Summary” of the 2004 report by Oxford’s environmental footprint consultancy Best Foot Forward (BFF). The project still has a dedicated website with download-able PDFs of the reports and summary. This poster is one of the most complex I have made: it includes a summary of the ecological footprint of Scotland, as well as summarised resource-flow analysis, clearly dominated by the oil industry. BFF have done a lot of work on developing various tools of “ecological footprinting”. They have bravely tried to work with big business, including the London Olympics. I fear their work is often used by these corporations as green-washing – a form of PR designed to make a very unsustainable enterprise at least appear to be slightly less eco-cidal. 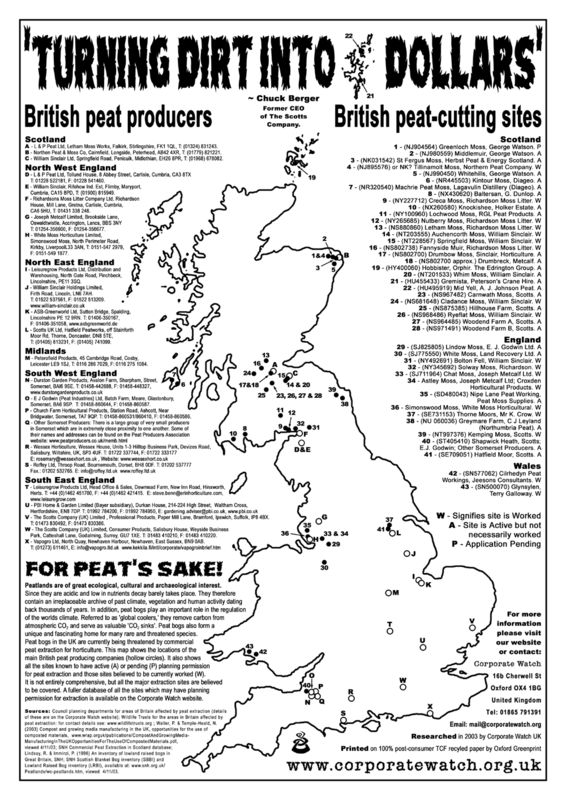 Another poster for Corporate Watch, from 2003, exposing the peat-extraction industry of England and Scotland. 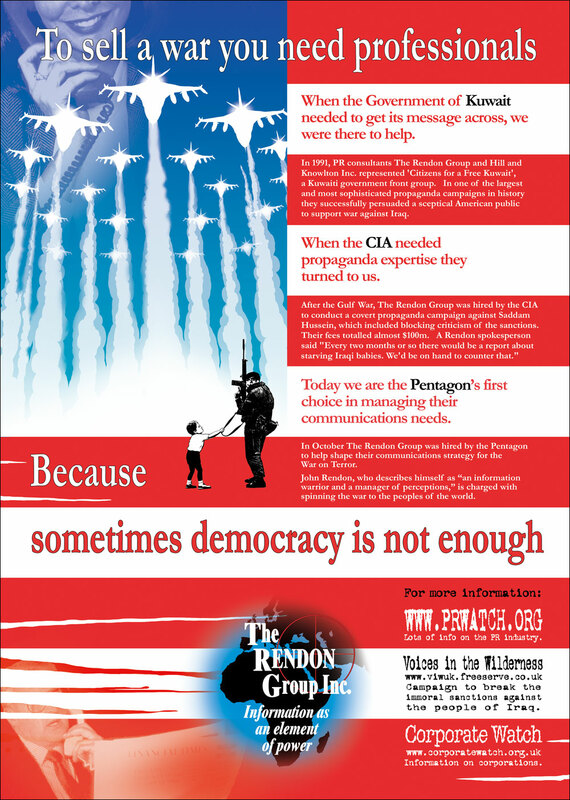 Poster from 2002 that is a “Subvert” for the Rendon Group, a leading US public relations firm. 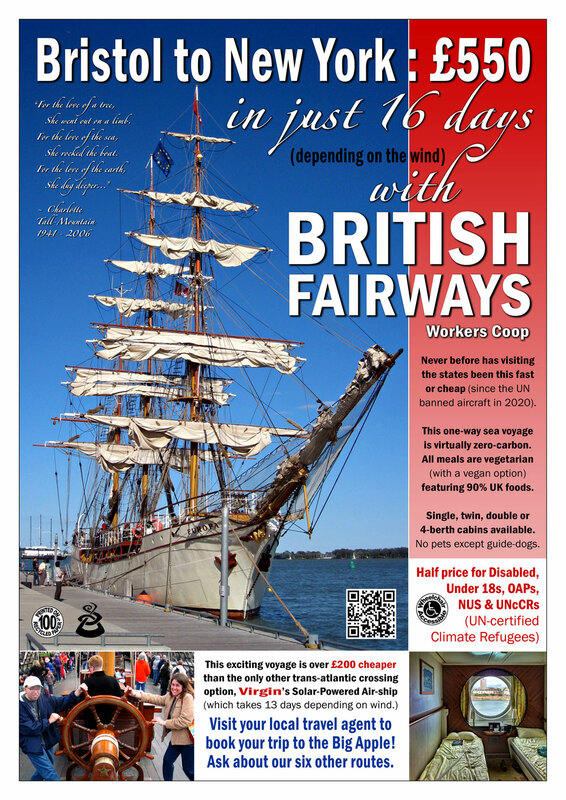 The poster was researched by Corporate Watch Uk, with the assistance of PR Watch, and was published on the back cover of the Ecologist Magazine.